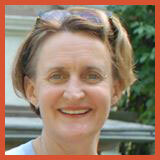 Margaret has more than 25 years’ experience working in, or writing about, business and building brands. 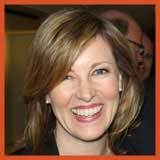 She is an entrepreneur, journalist and broadcaster who has worked in both Ireland and the United States. Clear Ink was her first business baby, founded in 2006. She set up her second enterprise, Broadly Speaking, in 2013 after establishing and running the non-profit Women on Air group. Broadly Speaking is a professional skills training company that helps women and men progress in their careers by improving their public speaking and media presentation skills. Mags is on the board of Ireland’s national public service broadcaster RTÉ and on the board of European Movement Ireland. She was a participant in Enterprise Ireland’s Going for Growth programme for female entrepreneurs, and was a content judge for the Eircom Spider awards for many years. Margaret is also a voiceover artist and popular chairperson and speaker at events in Ireland and abroad (see Personallyspeaking.ie). Along with her passion for business and clear communication, Mags also loves wild swimming, surfing, travel, dark chocolate and skiing. In 2013, she took up Nordic skating. Her daughter, son and husband are very embarrassed by Mags’ latest adrenalin sport and refuse to be seen with her on Dollymount strand. Clodagh has been writing and editing for 25 years. She spent 10 years at the Irish Examiner where she was a senior reporter, feature writer and columnist. Then she moved to France to work as a freelance writer and editor for Agence France Presse, Bayard Presse, Time Out and Unesco. She is fluent in French. 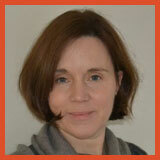 Clodagh has also reported from Eastern Europe, Russia and central Europe. More recently, she was a senior sub-editor at the Irish Independent before being appointed letters editor and later production editor. She has also contributed to RTE, the Irish Times, the Sunday Tribune and the Sunday Business Post.When not tinkering with words, she’s digging holes – either as an amateur gardener or a fair-weather archaeologist. 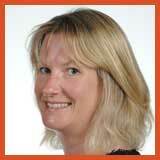 Colleen has been a sub-editor for almost 20 years, including many years at The Irish Times and Lafferty Publications. She has worked at Clear Ink since 2008, imposing order on a variety of reports, documents and publications for our Irish and global clients.Colleen loves to read – and not just for work. When she has some free time from work and family commitments, more often than not you’ll find her with her head stuck in a book. Former Germany bureau chief for Dow Jones Newswires, Ellen has written about Germany and Europe for 20 years. She has covered several historic projects, including the birth of the euro and Germany’s bold effort to fuel itself largely with renewable energy by 2050. Her pieces on macroeconomics, international development, energy, business trends, personal finance, arts and culture have appeared in The Wall Street Journal, E+Z/D+C (Development and Cooperation monthly), the Financial Times and on the Clean Energy Wire, among others. Ellen enjoys short stories, children’s literature and poetry, and occasionally puts the pen to it herself. She is fluent in German and lives in Berlin.